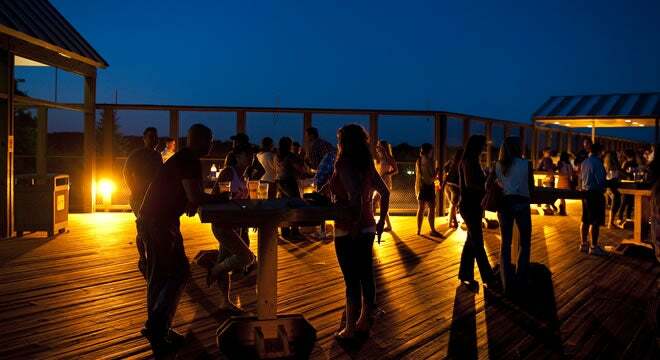 The Pine Tap Bar and Lounge is an open-air beer garden, open to all ticketholders. It sits on an expansive deck on a wooded lot, located inside DTE’s West Entrance, and can accommodate 400 people, seated and standing. 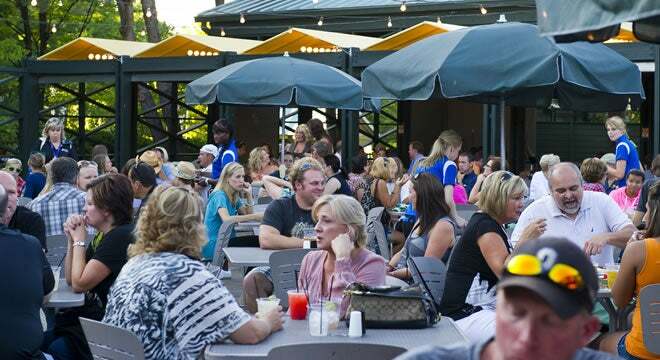 With an extensive offering of more than 20 world-class craft, retro and traditional beers, a full-service bar and a menu that includes sliders, hotdogs, brats and Mexican specialties, the Pine Tap is open from the moment the DTE gates open each show. It often features live music and remains open after each event, allowing you can relax with a post-show cocktail under the stars as the traffic clears. 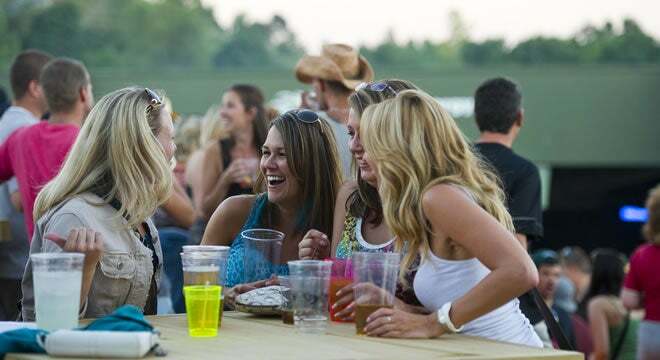 The Arbor at DTE Energy Music Theatre is available to all DTE ticketholders. It offers an intimate setting that can accommodate 180 people, seated and standing, with bathroom access. 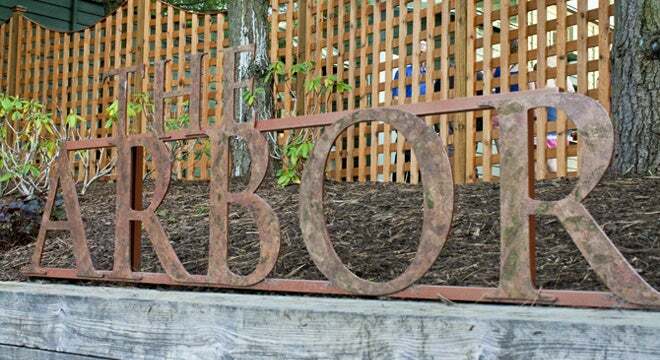 Located inside the East Entrance, the Arbor features a full bar and food menu featuring Bar-B-Que from the grill and various menu options for everyone to enjoy. Reserve one of our new private spaces on the Bud Light Hilltop Deck at DTE Energy Music Theatre for a great night out with your friends. Click here for more information. 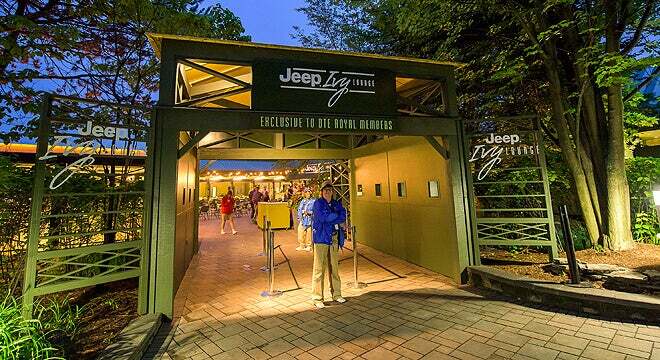 The Jeep Ivy Lounge is available, exclusively, to DTE Royal Members before, during and after each DTE Energy Music Theatre show. Located inside the Center Stage Entrance, the lounge can accommodate 520 people, seated and standing, and has private bathrooms. The site of select post-show after-parties and entertainment, the Jeep Ivy Lounge features specialty cocktails and a selected wine list. 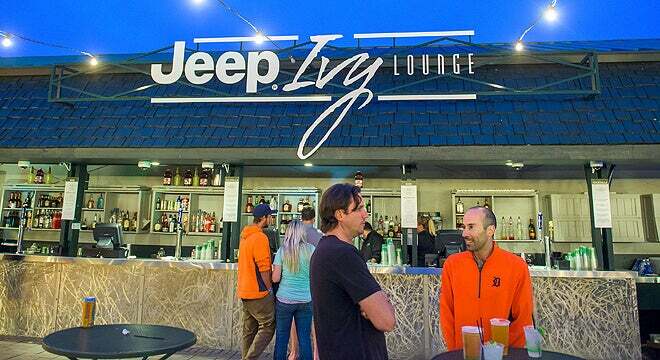 Various menus are also available at the Jeep Ivy Lounge – from small plates to an a la carte menu to a post-show menu and other favorites, including pizza, chicken wings, nachos and sandwiches. Reservations are recommended for all events. CLICK HERE to make a reservation online. If you have questions or concerns about your reservation, please send an email to [email protected].